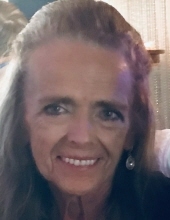 Carol Edna Coughlin, 71, of Valrico, passed away on Friday, March 8, 2019. A native of Dover, NH, she had resided here since 1978 coming from Barrington, NH. She was a member of the Loyal Order of the Moose, Valrico and worked for years at WAGS Restaurant in Brandon. She is survived by her sons, Scott, Jeff and Chad Coughlin; brothers, Jeff nd Billy Morgridge; 7 grandchildren and one great-granddaughter. To send flowers or a remembrance gift to the family of Carol Edna Coughlin, please visit our Tribute Store. "Email Address" would like to share the life celebration of Carol Edna Coughlin. Click on the "link" to go to share a favorite memory or leave a condolence message for the family.